For many home buyers here in Austin, Texas, and around the country, their next home will be smaller than their current home. Buyers are willing to eliminate some of the most popular features of homes built five years ago which include media rooms and extra bedrooms. These changes are dictated in large part by the uncertain economy, and the green-living movement. In large part, we’re getting back to cozy and soulful homes and away from cavernous structures. The new trend for home buyers is toward energy-efficient, cozy homes which focus more on living areas- including outdoor areas- rather than on individual rooms. And if you’re staying put in your current home this year, you may want to make some of these improvements to add more comfort and efficiency to your home. 1. 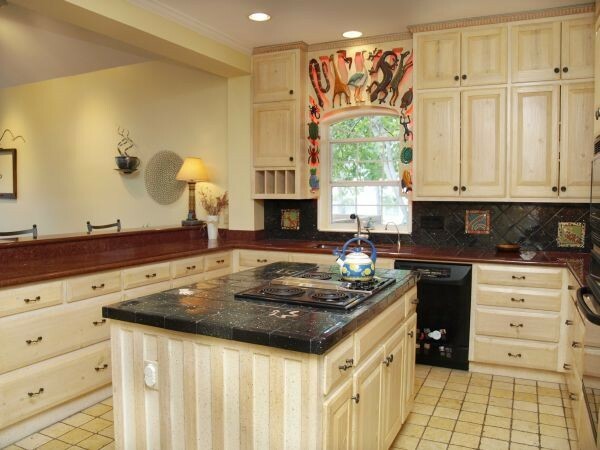 Roomy kitchens, with a center island and granite counter-tops. Trends include induction cooking (30% more efficient than gas or electric) and stone composite sinks that are more durable and easier to keep clean than stainless sinks. Stone composite sinks also have a cleaner look because they’re built into a countertop. 2. Green features like energy-efficient appliances, efficient insulation, high window insulation efficiency and ceiling fans. Better insulated refrigerators and environmentally friendly cabinetry are trending. Though widely available abroad, dual-flush toilets—with separate mechanisms to handle liquid or solid waste—are gaining attention here, says Lenora Campos with Toto USA, a leading toilet manufacturer. 3. A home office or study area in place of a formal dining room. 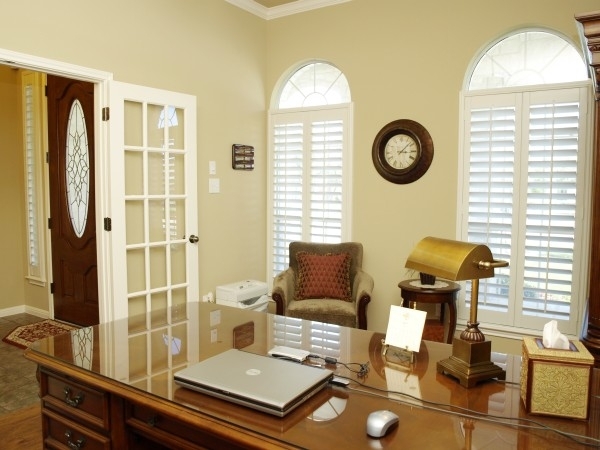 People use home offices so much more than formal dining rooms! 4. A master bedroom on first floor. This is particularly in demand for baby-boomers who don’t want to subject themselves to the daily stairs. Laundry rooms on the first floor. 5. Oversize showers with seating areas and soaker tubs. 6. 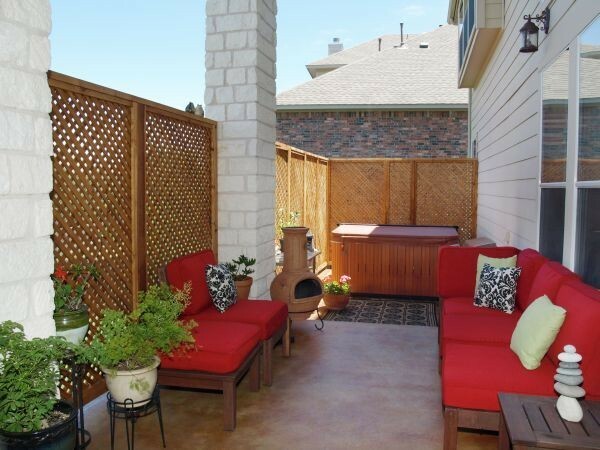 Outdoor living areas with all the coziness of an indoor area. This is made possible with outdoor carpets, weather-proof artwork and outdoor draperies for privacy. 7. Neutral color palettes such as white and beige or gray and pink, with bold accents. Neutral earth tones offer serenity, enlarge a small space, and create coziness and warmth. Pink, especially with a pearlized finish, is popular as an accent because of its perceived healing power. It’s also a fire element in Feng Shui and adds warmth to a space. An important tool in the effort to build greener buildings and live greener lives is the selection of products that were made using environmentally friendly processes and are used in environmentally friendly ways. Green products are available for just about any daily need, and the ways they are green are many and varied: They are energy or water efficient; they use healthy, non-toxic materials; they are made from recycled or renewable sources; they make current products you use more efficient or more durable; and they are recyclable or biodegradable, among many other things. But among all the truly green products comes the risk of “greenwashing;” that is, products that are advertised as green without truly offering environmental or health benefits. The ASID (American Society of Interior Designers) provides the following list of resources on their website www.asid.org. The directories below can help you sort through the claims and find the products that best meet your needs. by-side comparisons of products using a variety of environmental, technical and economic criteria. work promotes sustainable design and construction. improvement products to personal care and pet supplies. sustainable building materials and green building service providers. wood and water; and improve air quality.